HNHH Premiere! 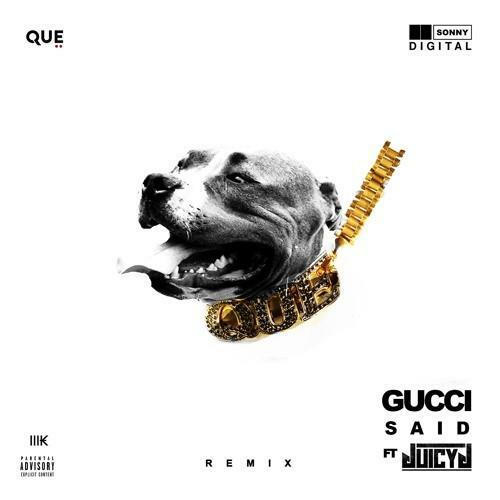 Juicy J hops on Que's new remix to "Gucci Said". "Gucci Said" has been around for a minute, but for those who know it, it hasn't left rotation. The Sonny Digital-produced track makes use of all of Que's strengths, giving him a perfectly minimal palette for him to color with his energetic vocals. Today, the song gets that much better with the addition of a Juicy J verse, adding even more quotables to the Gucci tribute. This follows Que's "Dawg Catcher," and precedes an upcoming collaborative project between Que and Sonny, bringing us back to their early tape, Forbes Atlanta, which is still as hard as ever. Look out for that very soon.